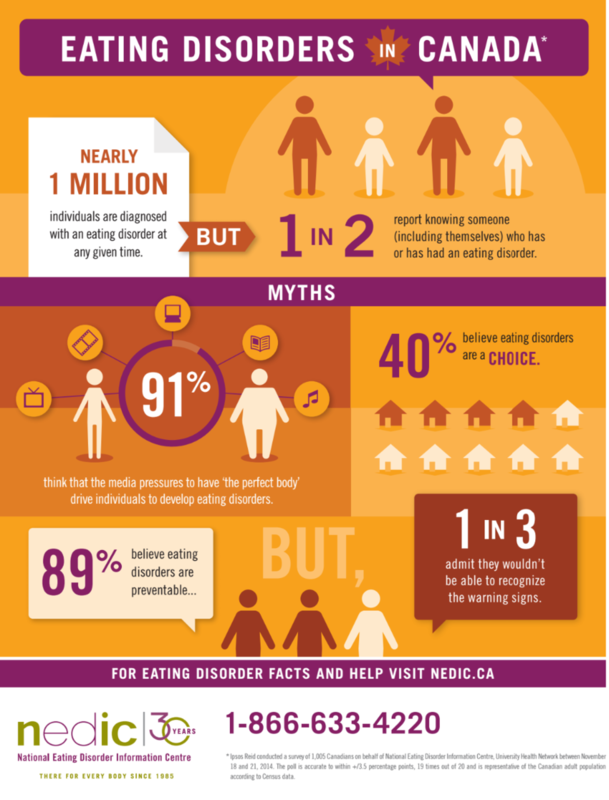 Over 1 million Canadians struggle with Eating Disorders. Eating Disorders can and do affect individuals of all genders, ages, races and ethnic identities, sexual orientations and socio-economic backgrounds. 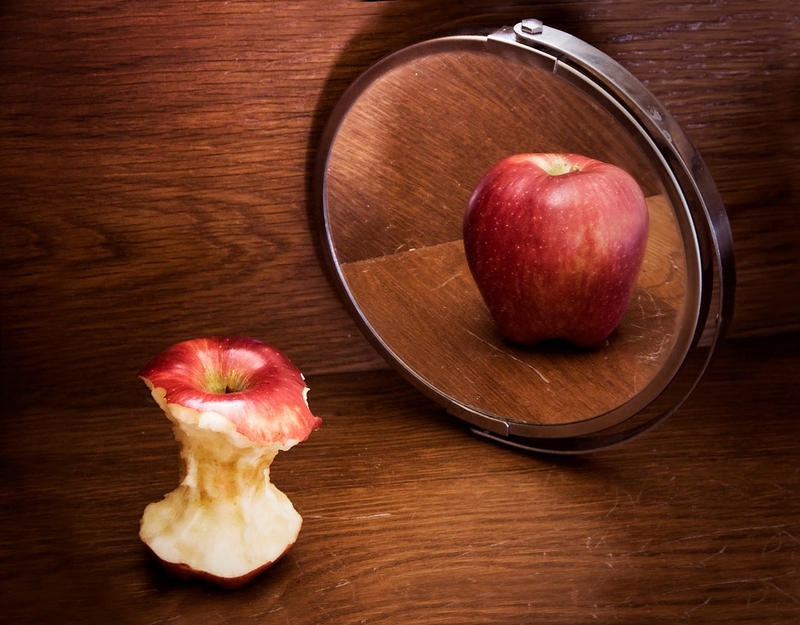 There are many different kinds of food and weight preoccupations, including eating disorders. This is why every year, from February 1st to the 7th, awareness groups in Canada recognize Eating Disorder Awareness Week as a time to to educate the public on the impact on people and the supports available to them. This year’s theme is Eating Disorders Cannot Afford to Wait. According to Canadian statistics, 1 to 10% of all women will be affected by eating disorders at some point in their lifetime. Girls and women with type 1 diabetes have more than twice the risk. More recent evidence suggests that there is also a higher incidence of eating disorders with male adolescents with type 1 diabetes compared to their peers without diabetes. Diabulimia refers to persons skipping or altering their insulin dose in order to control their weight. By not taking insulin, their body is not able to use the calories from their food, so they put themselves in starvation mode. The result of this is high blood sugars, resulting in weight loss. ED-DMT1 is a more inclusive term including diabulimia. In addition to experiencing weight loss, there are more severe consequences for individuals with type 1 diabetes. Initially high blood sugars can cause fatigue, frequent urination, dehydration, mood changes, and reduced mental and physical capabilities. If insulin is totally omitted, diabetic ketoacidosis (DKA) can develop quickly and if left untreated, can result in death. Early onset of microvascular complications can also occur from recurrent DKA. Treatment requires the expertise of both the diabetes team and additional team members skilled in dealing with eating disorders. As with many conditions, early diagnosis and treatment has been shown to be beneficial. If you have concerns, talk to a member of your diabetes team or your health care provider. CMHA-WWD is a community-based team that includes social workers, dietitians, nurse practitioners, therapists and a consulting psychiatrist. They help individuals and families dealing with eating disorders such as anorexia nervosa, bulimia nervosa and binge eating disorder. They provide treatment for children, youth and adults in Waterloo Region and Wellington County. If you have other questions, the National Eating Disorder Information Centre (NEDIC) Helpline may be able to provide you with answers or direct you appropriately. They can be reached at 1-866-633-4220.